In Spaceflight Simulator, Mercury is a challenging target. Mercury is very close to the Sun. To conduct a flyby, there is a high demand of fuel. To enter orbit, fuel is also needed in larger amounts then in case of other planets. The lack of an atmosphere means that fuel will be needed for landing too. To return from Mercury to Earth, a ship will require more fuel then in case of any other planet. In addition, Mercury has a small Sphere of Influence, which requires very good timing in engine burns. The surface of Mercury is similar to the surface of Moon. To reach Mercury, a ship can take advantage of a Venus flyby. However, if Mercury and Venus are not correctly aligned (or while returning if Venus and Earth are not aligned), the flight can take a long time. Unlike in real world, in the simulator Mercury has a circular orbit. The most easy way (but expensive) is to use a Launch Window directly towards Mercury. The ships will require a high amount of fuel. Engine burns will need to be carefully selected, in order to enter Mercury's little sphere of influence. Additional trajectory correction maneuvers might be required. Wait for a better planetary alignment, then adjust orbit. At perigee, fire engines backwards, lowering the apogee. This way, it will be more easy to reach Mercury. There is also a third option: return home. To achieve this, at apogee, fire engines forward, to rise perigee and make an easier return to Earth. Gravity assists can be used. In order to do this, firstly fly towards Venus. Then, after passing closest approach to Venus, look on the map to see how close to Mercury your perigee will get. There are other, more complex ways to reach Mercury: two Moon flybys (to exit Earth's orbit), followed by an Earth flyby (to reach Venus orbit), one or two Venus flybys (to reach Mercury's orbit) and one or two Mercury flybys. The first ship that visited Mercury performed 3 flybys. It is possible to conduct a flyby, with or without entering Mercury's sphere of influence. The ship will have an apogee reaching Earth orbit and a perigee reaching Mercury's orbit. This way, it is possible at some point to return to Earth. The flyby is the fastest and cheapest way to reach Mercury, but with limited science findings. A hard landing is possible, directly from Earth's orbit or with little trajectory correction maneuvers. However, such an attempt will bring limited science data and will not be feasible. Mercury has little gravity, somehow comparable with Mars, but its sphere of influence is far smaller. If the ship is approaching Mercury directly from an Earth launch window, you will need a higher amount of fuel to slow it down. This will be more difficult if the trajectory is only set through the border of Mercury's sphere of influence. 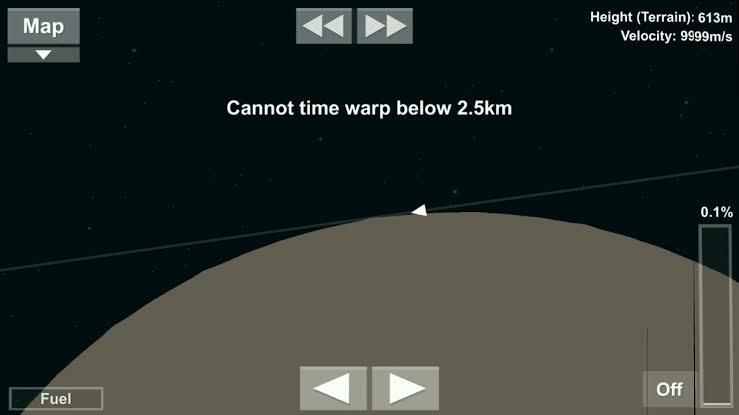 If the ship is approaching from Venus, after a Venus gravity assist, then the amount of fuel needed will be much slower. In this case, it is good to perform a deep space trajectory correction maneuver, to get as close to Mercury as possible, for a maximum Oberth effect. If the probe approaches from an orbit similar to Mercury (this is very common for new astronauts, who often miss a flight window and try somehow to reach their target), the needed amount of fuel will be far smaller. One-way probes will easy make it to Mercury. However, their payloads will be smaller then in case of Venus or Mars. It is possible to build a Mercury Space Station, but with much higher costs then in case of any other planet. Ships that plan to return from Mercury will sometimes need to refuel. So, fuel tanks will be needed. Without an atmosphere, a parachute is useless. Ships will need to use fuel in order to land on Mercury. It is a good idea to include landing legs, to avoid damaging the engines in a fast landing. The Mercury colony can be built on the surface. However, construction will require more fuel and more landings then in case of any other planet. A liftoff can be done relatively as easy as on Mars, without requiring too much fuel. A ship can easily exit Mercury's sphere of influence. However, rising its apogee to Earth's orbit is a difficult task, but not impossible. It is possible to conduct a complete mission with one rocket. However, many players prefer to use additional ships to gain thrust. Refuel can be a good option. In either cases, you will need a ship in orbit. Some players prefer to use flybys from Venus, while others prefer a direct flight to Earth. Because Earth's sphere of influence is larger, it is more easy to reach Earth from Mercury then it is to reach Mercury from Earth.